My husband has this thing with forks. He picks up the fork he’s been given and examines it carefully, turning it on its side. He inspects the alignment of the tines. If one is bent, he sighs. He calmly gets up from where he is seated and goes to the utensil drawer to find a more acceptable one. I can’t understand how the misalignment of one tine can be such a dinner-disruptling thing. I nicknamed my husband the Princess and the Pea because he reminds me of the fairy tale. The one where a young woman is proved a princess because she can feel the irritating presence of a single pea under a stack of twenty mattresses. My husband is overwhelmed by a pinch of lemon pepper in the mild sauce on his chicken. He is…special that way. My feelings finally peaked at the intersection of annoyance and curiosity. I decided to see if this fork thing was real. Or if he was maybe making this up to be stubborn. So I asked if he would do an experiment. I would blindfold him, and he would use five different forks, some of them bent, some of them not. And he would tell me which forks had bent tines and which did not. And that’s important because I’m writing this up for Scientific American. So I blindfolded him. And I slid a homemade piece of his favorite pie, Banana Cream, in front of him. I started handing him forks. I had two pretty obviously bent forks, then one in which one tine was slightly off, and one fork in which all tines were perfect. 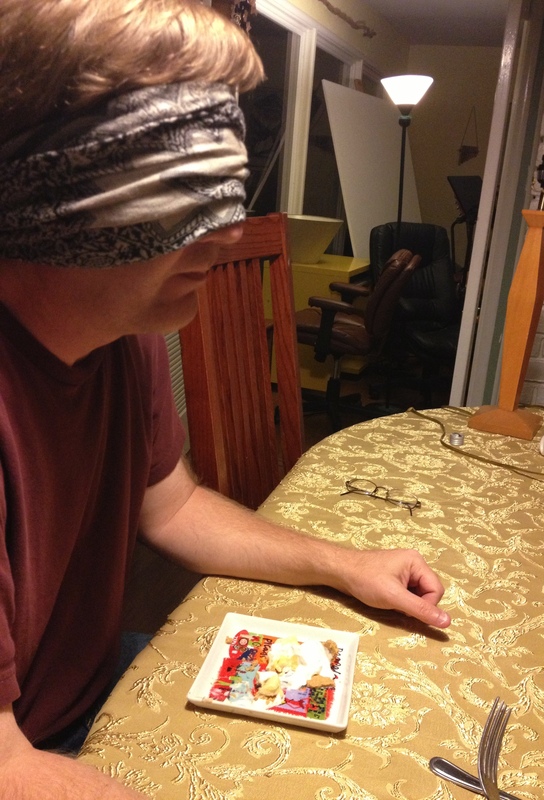 Side observational note: It is very hard to eat cream pie blindfolded without assistance. My husband isn’t making this up. He is fork-sensitive. Maybe it’s his super power. Of course it does seem a bit petty to me, especially in comparison with really big issues–like insisting that the hand towels and tissue container in the bathroom maintain my Pantone 14-1116 color scheme.